I am finally mustering up the energy to write about the happenings of the last few weeks. It has been a bit of an emotional roller coaster since we bid our dear friends, the Gordens goodbye. Let me start off by saying the church was officially handed over in early April to Jonathan. Calvary Chapel Missionaries here in Kenya, stood with us in unity that Sunday to pray and witness a neat transition for the church. Robbie's message was bitter sweet as he encouraged the LWCF saints to continue in the word and encouraged Jonathan to stand strong and stay humble as a servant and under shepherd of God's people. After the message was over, Robbie had Jonathan and I sit at the front so he could pray for us and invited the congregation to pray as they laid hands on us. This was so reminiscent for me of our final Sunday at Refuge where folks we loved and prayed for prayed for us and committed us into the hands of the Lord. Unexpectedly, people stood up one by one and gave their testimonies of God's grace in their lives. They couldn't help but rejoice as they recounted their lives before they knew Christ and how grateful they were to have been fed the word of God so well. I was blown away and touched by how good our God is. The service was beautiful, full of love, joy and a few tears. The experience was one I'm sure I'll never forget. So the time came, the dreaded day of April 28th, to say goodbye to our mentors, our family, our pastor, our friends the Gordens. Leading up to the date we had sweet fellowship as the Gordens expressed their excitement for what God is going to do in Living Water. Counting down to the date, weeks turned in to days, turned into hours. Before we knew it we were sitting with a few friends, eating pizza and trying to figure out how we were going to get through the next hour. Just as quick as that Thursday came, the Gordens were whisked away in a taxi to head to the airport. Please continue to pray as we are finally getting used to the new normal. It was very difficult to see our dear friends go but we are so blessed for a friendship that is stronger than we thought a friendship could be. The closeness that comes between friends when Christ is it's center is just beautiful. 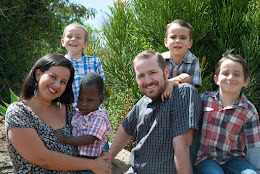 Please pray for the Gordens as they are now in the states before they head off to Samoa.